We are pleased to inform you that you have been accepted at Hogwarts School of Witchcraft and Wizardry at the Malden Public Library. Term begins at 5:30 PM on 31 July 2018. You will be given the necessary equipment at that time and sorted into your house. Bring your best robes and witches hats. 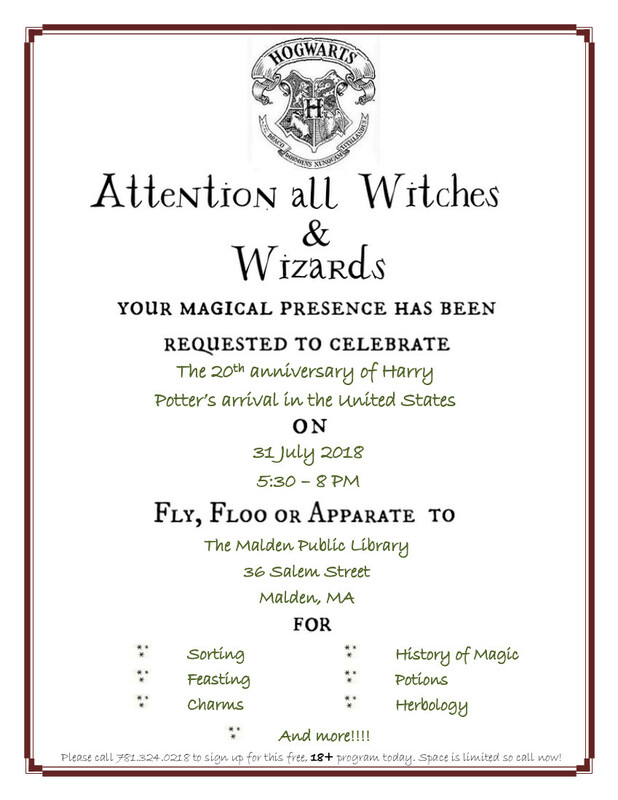 Wands will be provided. Class size is limited so we await your owl by no later than Friday, 27 July. Direct your replies to 781.324.0218. These are advanced classes so we will only accept witches and wizards who are 18 and older.